What's Wrong with Houston BBQ? Update: It's good people, and it's $15 per pound good too. Three visits over the last three weeks have confirmed it. Brisket has morphed from very good to nearly perfect over those last three visits since my last review. The sausage just keeps getting better too, although it's not quite to the level of making an all-beef convert out of me. My affection for the clod here is well documented, and the pork chop has always been top notch. The problem for me is with the big and meaty spare ribs whose inconsistency is frustrating. On a lunch trip with a friend I was spotted immediately. They were offering rib tip samples with every order, so I grabbed a couple along with my brisket, clod and sausage. These rib tips had a wet looking sheen on them from the salty rub bringing out the moisture of the meat. These tips had good smoke and adequate tenderness that made me hope for some rib improvement on my next visit. Brisket on this visit had all the great flavor qualities of a top notch brisket, but was a tad dry and chewy. An inquisitive manager was polite with his questioning, and genuinely interested on improving his product. I dropped off a decoy to order for me on the next visit in hopes that there would be no specialty cuts. Anonymity of food critics is a well known aspiration, but I have a small advantage in that the food type I write about cannot be quickly remedied. The brisket that I'm served has probably been smoking for upwards of 10 hours, but there are better cuts than others on that brisket, and I wanted to be sure I wasn't getting preferential treatment. The meat that came out in the paper that ran clear with juices was just as good as the previous visit. Ribs again had an odd but good flavor from a rub heavy on aromatics including coriander and a dozen or so other ingredients. No matter the seasoning, the meat was tough to separate from the bone, and simply tasted underdone. All of that powder-heavy rub also hindered a nice crust from forming. I was going to stop at this point, but a friend invited me to dinner the day before I planned to post the review, so I thought I'd hold off. What resulted at dinner service were the same chewy ribs and some of the best brisket I have eaten anywhere, and the finest I have eaten in Dallas. The end cut from the point is a fatty crusty delicacy that was given its proper due here. After one bite, the three tablemates were fighting over the rest. Luckily we had plenty of sliced point meat to move onto. The fat that remained on each of these slices was so richly flavored, intensely smoky, and perfectly silky that it was consumed more quickly than the meat. Each new bite built on the last until the hefty portion of meat had been annihilated. The brisket from this meal could stand against any I've had at Kreuz Market, which is why I've wrestled so much with the star rating. Based on the inconsistent ribs it's tough to go beyond three stars, but with brisket being done this well before they're even two months old, I've got to give it a strong recommendation for anyone looking for great BBQ in Dallas. 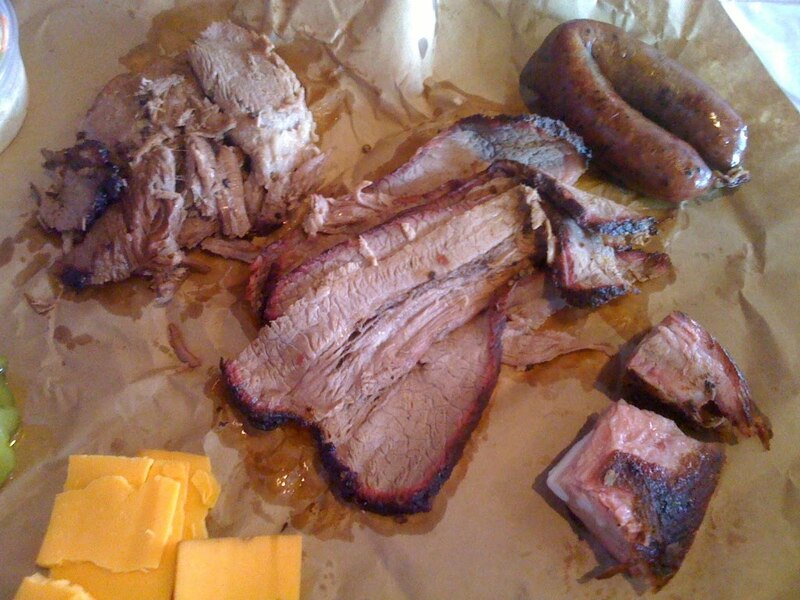 2/25/11: Last Friday I went to Lockhart Smokehouse to give it another try, and I wasn't alone. Normally I try to be as unassuming as possible, but I had a cameraman with me on this trip. Just about everyone took notice as I made my way to the back, and I was immediately spotted before I placed my order. When I asked for a rib from the guy at the counter, he yelled back to the cutter "One Full Custom rib, please!" As Turk kept filming away for a recent story in the local Advocate Magazine, I kept taking down large hunks of meat. Ends cuts from the clod were even better than the first trip with plenty of smoke and crispy, fatty nuggets of concentrated flavor. The ends cut pork chop weighed in at 3/4 pound alone, and had great smoke and flavor, but really needed more smoker time to tenderize. Ribs were underdone and tough, but the rub flavor was more subdued, and the smokiness was certainly there. These guys just need more work to be considered good ribs. Besides the clod, the sausage was the day's best item. It was incredibly juicy (as seen in the video above) with great snap and great beefy flavor. This link had taken to the smoke much better than the previous visit, and if they keep doing it this well the marketing of the Kreuz name will be more than just for show. I plan to return soon for another taste of the brisket and to see if they'll take my solicited rib critiques to heart. 2/2/2011: Soon. That was the preemtive answer posted on the doors of Lockhart Smokehouse for the past few weeks. This morning, that sign came down and was replaced with a "Now Open" sign. Dallasites rejoiced, and a few of them even braved the icy roads to try it on their first day of business. 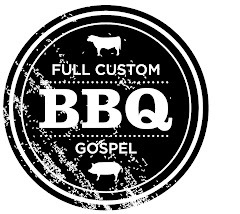 Certainly this is the most anticipated BBQ joint to open in our fair city...ever. Several meat preview posts have hit the web, and it was given a mention in the New York Times before it was even open for business. The one and only Roy Perez, pitmaster at the heralded Kreuz Market, acted as mentor to chef made pitmaster, Tim McLaughlin, and several months ago they announced their plan to serve the famous sausage from Kreuz (which just arrived yesterday via FedEx). Everything was set for the opening, and excitement had built. Everything, that is, but a register full of cash. Inside the doors this morning I found a dozen or so folks milling around. It was past the 10:30 opening time, but the bank lost electricity so they couldn't get the cash they needed. By 10:50 they opened the line for credit cards only. This being Dallas, everyone was monetarily prepared. Trying to be inconspicuous, I ordered a little of everything. Meat prices are listed by the half pound, (brisket is $15/pound, $2 higher than the best in the state at Franklin BBQ) but they'll slice you off a quarter pound of any sliced meat. Meat is sliced to order on a large table behind the ordering counter then weighed on brown packaging paper. This paper didn't stand up well against any of the moist meats, so they may need to go to true butcher paper for everyone to make it to their table without any dropping incidents. I made it to my table with Forrest, a loyal FCGBBQ reader who braved the weather as well with his wife, and he promptly spilled his Coke in my lap. It wasn't his fault. He was trying to pry apart a slice of the tough brisket and his hand slipped. This brisket had good smoky flavor and was well seasoned, but needed more time (maybe a few hours) on the smoker to tenderize and render some of that fat. Ribs had the same pros and cons, but the end cut from the pork chop made me forget all about it. Moist, tender and smoky with just the right amount of fatty goodness made this a go-to cut. The aforementioned jalapeno sausage was also a winner with plenty of heat any very little greasy filler. The best cut by far was the uncommon clod. While more familiar to Central Texas BBQ fans, this is a cut not used anywhere else in Dallas. I was happy to see it on their menu when it was posted a few days ago, and was even happier to eat it. Well smoked, perfectly tender and immensely flavorful, it was good enough to get more to-go. Chicken, which isn't my favorite smoked meat was fine, and the deviled eggs which use a different meat in the fillings that rotate daily was worth ordering again. I realize that I'm posting this just as the lunch crowd is dying down on their first day, so a rating won't be in order until after a few visits over the next couple of weeks. What I will say is that this place is doing it right. They smoke with all wood in a Dallas made Bewley pit, and they know the importance of their prime product - meat. They showed some real potential today which should embolden the hope for Dallasites salivating for true Central Texas style BBQ that can be found without a four hour drive. I'll happily be back. That brisket looks very "Dallas." Nice to hear there were signs of potential, though. Thanks for your continued public service. You must have left before I got there... they're going to need a bit more practice. My clod was a bit tough and the brisket was complete fail. Fat was a solid jello, not even a bit rendered. It was just disappointing because as we stood in line, one of the guys brought over some clod to sample, and it was amazing. The sample piece had a nice flavorful crust, the fat was silky smooth, the anticipation was making my mouth water, to only disappoint. Man what kind of bum spills a drink on you? ;-) Sorry again for that; I couldn't control my brisket. I saw brisket anywhere from tough (ours) to medium/medium rare and bloody, to a few pieces that looked well rendered but were still a bit red. When I went back to order some to go clod, I also saw a brisket being cut with gooey, completely unrendered fat. The clod we got home with wasn't as good as what we received while dining, but they threw in the end and it was even better than our first order. As of now I would go back for their clod and the Kreuz sausage but am hopeful they can improve the brisket consistency and find out what caused the unusual flavor in the ribs. - All enployees were prompt and enthusiastic. - They did a good job with the space and the brick color has a faux smoke look to it that reminds me of the Lockhart joints. - Is it possible that trying to smoke with surrounding temps hovering around 10 degrees caused significant problems with the heat control? That's the only reason I can see for the brisket consistency being so varied. I suspect the ridiculous temperatures didn't jive with their months of practice with their new pit. Kudos to all who braved the Dallas ice rink for day one. I'm going to wait til next week. I think the $3.80 mark-up on their sausage ring is just to remind you that you are in Dallas! Went by today for opening day to see what the scene/buzz was like and to sample the hopeful greatness that this place will be turning out. Got 1/2 lb brisket and a ring of original kreutz sausage. The meat was exactly what I expected, smoky, rich, well seasoned, small amount of rendered fat, moist, tender and some damn good texas style BBQ! Have to say the sausage was a little overcooked and could have been taken out of the smoker a bit sooner. Have to love they have stayed true to the "Lockhart-Kreutz" style where there are no forks and no sauce. Meat done this way doesnt need any sauce and a little dash of texas pete's is a great addition. Staff was friendly and happy to help or assist. Made all that I saw feel welcome. I could tell some folks were a bit thrown off with the no forks deal. Oh well they will learn. The look of the place is inviting and non-pretentious. Looks like a great spot to kick back with friends, have some great BBQ and drink a beer or three. Well done Lockhart guys, sure glad that the real deal is here! Look forward to my next visit and will be sure to sample more of the goods. $15.00/lb for brisket and even more ridiculous $5.00 per sausage ring? HaHaHa. Jokes on you, DALLAS. Glad I reside in good ol' Lockhart where Kreuz Market is the THIRD best BBQ joint in town. Those are mouthwatering food for the stomach. It may fill you up once you finish eating but it will never stay that long inside you. Unlike food for the soul, it will nourish your mind and spirit and it can stay throughout your lifetime. Look, I realize that everyone has to make money, but marking up the sausage so, so high really bothers me. And $15 for a pound of brisket is inexcusable. Brisket should be no more than $12/lb anywhere -- if this place aspires to be among the elite, then they need to re-examine their prices. Kreuz, Smitty's, City Market, even the mediocre and overpriced Coooper's Fort Worth would not dream of charging this much for brisket. I am going to try them out, but honestly, when I get a craving for brisket in Dallas, it'll either be Pecan Lodge or Mischak's. Once the adrenaline we are feeling as BBQ diehards of having a new BBQ joint wears off, they seriously, seriously need to revist their price structure. If me and 3 buddies wind up spending $5 each more than we should, then we might as well drive 2:45 to Taylor and get the real deal at a good price. I think the sausage price is high too, but what do you expect when it's being FedExed from Lockhart? FedEx ain't cheap. $5 is probably about right if they are going to make the usual profit margin on that. Now the brisket, on the other hand? There's really no excuse for the price on that. I understand all the knee-jerk reaction to a restaurant on their first day of operation, given all the anticipation of their opening. Not to mention they opened during the aftermath of a massive ice storm. Some of this criticism is over the top to say the least. First of all, if you want to compare the price per square foot between small-town America and a prime piece on real estate in the Bishop Arts District, my guess is it's at least 3:1. You have to pay the rent. Anyone who has smoked meat knows it's done by feel and experience. It could take a year to get really comfortable with a pit. Figuring out how to juggle all those meats takes time. How about giving them more than one day to get it right? If you want cheap, go to Dickey's and get the $1.99 pulled pork special. Not to mention, if you think a trip to Lockhart or Louie Mueller's in cheap, you haven't been there. You get what you pay for. The Good - Nice to see real butcher paper has replaced the liner paper. Brisket very good. Could eat it all day. Sausage too (It's Kreuz, so no surprise there). The Not-So-Good - I think the pricing will be a serious issue. Like casual dining restaurants have found out, in these times, a $12-$15 per person price point (without alcohol) is a tough place to be. At $15/lb for brisket, we should get a 25% credit for the fat we trimmed off. Also disappointing to see such an inexperienced meat cutter at a place like this. And crackers in twin-packs? It's early and they'll get better. I'll definitely be back. But at these prices, just not as often as I would have hoped. Cooper's FW isn't exactly in cheap real estate, and their brisket is $12. Rudy's Arlington is the same price. And yes, I have been to Snow's, Louie Mueller, City Market etc. My point is, you are going to have to provide not just good but great BBQ to justify BBQ fans to skip Meshack's, Pecan Lodge, Off the Bone etc. and pay 25% more for brisket and 40% more for sausage. Their real estate costs aren't my problem - if you signed a pricey lease and cannot provide food at a competitive price, then it is your problem, not mine. BBQ is meant to be the food of the people, but their prices mean that only the well-heeled will feel they can afford going there on a regular basis. I want this place to work -- the good BBQ joints in DFW are too few and too far between. I will give them a chance, but I'm telling as sure as there is 5 inches of snow outside right now, they are going to swing and miss at the price point they're at right now. Haven't made it there yet, but thought I would jump in on the issue of higher rent being the big contributor to high BBQ prices. Even if rents WERE 3x as much in the Bishop District, it would not justify the difference in menu pricing. Restaurant rents typically run 6% of gross volume. By my calculation, a 3x rent wshould only result in a 12% higher pricing (at most). Part of the difference may be that meat prices are up substantially in the past year. Prices may fluctuate downward in the future, but the owners are having to price their menu on costs today. Still, I wouldn't want to open up a new place with the highest BBQ prices in town (and sausage prices that seem to be widely viewed as wildly excessive). 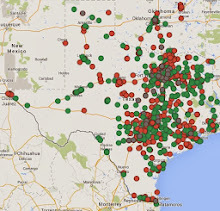 If FedEx is the culprit, they need to find a better way to get their sausage to Dallas. I'd hate for a place with this pedigree get the reputation as a "rip-off", largely due to sausage (and to a lesser degree brisket) pricing. It is also time for them to put the prices back on their Website menu. If they are going to stick to their pricing, they should at least be up front about it. That said, I'm with the majority here.....give them time to sort out the quirks and bumps in the road. In a month, we'll know what they are made of. Just finished a follow up trip on Saturday at 11:30 AM. The brisket was night and day from what I suffered through on Tuesday. The brisket was silky smooth and nearly perfect fat rendering with a very nice "smoky sweet" flavor. Asked for 1/4 lb and was handed .44 lbs. They didn't mind puttin back a slice on the counter to get me to .27 lbs. Hopefully they can correct the heavy handed cutter as I had the same problem on Tuesday (1/2 lb ended up at .84 lbs). That's my biggest pet peeve (ahem...Cooper's) when selling by the pound. Anyways...my rating on the FCG scale went from 1* to 3* on the brisket quality this morning. If they can maintain that quality then I can call it an easy 4* brisket. Went there for lunch today around 13:00. Ordered a pound each of the brisket and chops and 2 of the Jalapeño sausages. Was happy to see they stocked Coca Méxicana. I had a bit of sticker shock after seeing the $51 price tag, however. As others have mentioned, the brisket was top notch: well seasoned, smoky, juicy and the fat was well rendered. It was almost a religious experience for me. The Jalapeño sausage had a nice snap and wasn't very greasy but had no heat whatsoever. The pork chop was almost 2-3" thick but was kinda dry and flavour-less, but that is to be expected I guess. Definitely plan on going back. Wish they had cabrito or cordero on the menu. Hankerin' for 'que during the snow, but no desire to fire up my pit. I was resigned to some nearby chain-restaurant abomination of 'que just to get my fix while staying off the roads as much as possible. 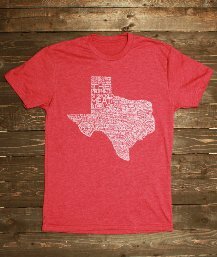 Checked out the site and ...BEHOLD!--Lockhart's in Big D?!?! 10 miles later, and we're there. Which lead me to feel that the entire experience was just way too over the top and riding on an aggrandized sense of larger-than-life tradition, justified or otherwise... The trimmer was way, WAY off on the plus side of his portions (which, combined with the insane price is enough to cry foul). Most of the meat was, well, just way to "fleshy"--almost flabby. I like my brisket to have at least some consistency, this was like eating oysters. Bleh. And then smoked to the point of bitterness and denied even a drop of sauce for redemption. Dang. We were excited and couldn't wait to try Lockhart BBQ. The price was high, but we're willing to pay for good food. We live in the neighborhood and eat in Bishop Arts with great frequency. Unfortunately, at 6:30 on a Saturday, Lockhart was out of food. No chicken, no brisket, no ribs (which aren't on the menu, but the guy said "No ribs", so we assume they were out), no potato salad, no slaw, no deviled eggs. They did still have beans. No plates (which is okay if the food is good, but.....), no FORKS, which necessitated trying to eat the last 1/2 chicken (I got the last one, my dining companion had to go without) hot, with my hands, no SAUCE. The hostess was complaining that people were complaining. The chicken was delicious. My companion's sausage was good, but not house made. The beans were pretty bad, obviously canned. We're torn as to whether we try this disaster again. Maybe we'll give them a few months to get their act together. Maybe not. We didn't like the attitude. We didn't like the lack of food. Wow, too much smoke? There's no such thing. Some of these comments are off the mark and some are spot on, such as the cutter overdoing your order. Everything I tried was good, especially the clod with a unique, well-rendered flavor in the fat combined with the crust. It did lighten my wallet more than expected, but I was more disappointed that they were out of several items I wanted to try, both meat and sides. Give them time, there seems to be a high demand. Worth noting that it's only been open a few days, and already better than most of the 'cue I've tried in Dallas. Can't wait to try the sold-out items. (1 owner professional chief? 1 owner trained at the Mecca of BBQ Lockhart? )15 bucks a pound could have trimmed fat off and cooked till tender. Watched them slicing ribs while we waited in line ordered 2 ribs when it came our turn when he brought them over to be weight they were 2 giant ribs don’t know where he found them but they were nothing like we saw them cutting when we were waiting in line They had good flavor but tough I have never had anything that tough at the chain BBQ places (professional?) Ribs cost me $ 4.44 a piece???? Ordered the shoulder clod it came out red like prime rib not what I am used to or what they serve at Lockhart but it was very good tender and smoky really enjoyed it. We spent $50.00 for 3 adults (2 Women) to eat (2 of us drank water) in a bad part of town when I spend this kind of money I expect way more than I got save your money go to an area where your family is safe and just eat at 1 of the chain restaurants and the next time your thru Lockhart stock up on sausage This place wont see us a 2nd time. I am not sure I quite understand all the aggression about them running out of food. Do you really think they want to run out of food? What benefit is that to them? For my fellow Dallasites - that don't seem to get it - It's smoked BBQ - it has to cook for a long, long time - and when it's out, it's out. This is how it works. Yes, I went there last night at 7 pm - they were out of stuff and I was was really bummed, especially since I had driven 30 minutes to get there. But, lesson learned, I will get there earlier next time. Some of these comments are hilarious. Too much smoke? Don't smoke with oak, mesquite, or pecan? Ran out of food? Bad part of town? Went there today and had brisket & sausage. Sausage was fine. Brisket had good smoke, but did seem a little undercooked. Slightly chewy and fat wasn't completely rendered. I hope they can get that straightened out. And for reference, I have been to the big 4 in Lockhart, so I know what I'm comparing it to. Hoping to make my my maiden voyage here this week. Just curious, if the knife guy is a bit heavy with the cuts, couldn't you ask for x number of slices instead of a weight? It seems there are a few things that some people are failing to grasp about this place. 1) There isn't a place called "Lockhart BBQ" in Lockhart, TX. So if you've been to "Lockhart BBQ" then you've been to an imaginary place. 2) If you've been to Kreuz then you understand where the no plates, forks, sauce thing comes from. It's similar at Smitty's too (though they'll sell you sauce from behind the counter that's otherwise out of view). 3) They're going to run out of smoked meats. Every quality bbq place in Texas does and the heavy majority of them post their hours as "opening time until we're out." They can't just whip up more bbq in 20 minutes for you like a normal restaurant. Have fun in your "safe part of town" eating your roast beef brisket at Dickey's or Spring Creek in a safe part of town. 1. I haven't been there. 2. If you show up at real BBQ joint at 6:30, then expect them to be out of stuff. You better hit a real bbq joint between 11:00-2:00. 3. I like the option of sauce. The theory is that you don't need sauce because the quality and flavor of the meat should stand on it's own. If it doesn't (and from what I have read so far it hasn't) then you better have some sauce. 4. Like a few posters have mentioned already; don't run to a bbq joint, or any restaurant for that matter the first day, week, or month that it's open and expect everything to run efficiently. It's not going to. They are going to need some time. 5. Their price is too high. I think $12 for brisket is probably about right. I was at North Main in Euless this weekend and was shocked to see theirs was $8. That sounds too low. They need to work on pricing. Word of mouth is the worst and best advertising. I finally was able to get to this place for lunch. I ordered 1 jalapeno sausage, 2 ribs, and 3 slices of brisket. I'm guessing the man at the pit must have read comments about the slicer's heavy hand because he told me he was glad I ordered in numeric instead of weighted increments. The sausage had nice flavor but was not very spicy. The ribs had little smoke flavor and too much unrendered fat. Prob could have spent more time in the smoker. The brisket had nice bark and small smoke ring but looked dry. Looks were deceiving. It tasted great, perfectly seasoned, moist, and tender. Can't wait to go back and try the clod. I went Sat (2/5) afternoon. The clod was good but the brisket was awful. Ribs and beans were good. I will give them another chance but it's going to take some convincing to get my wife to go back. My wife and son and I spent $62. These folks seem like they are trying hard and I think they will improve their brisket but it has a long way to go to be worth $15/lb. Once last gripe...no fresh brewed tea? Only chains from up north try to pull this fraud...c'mon! I'll be back for a 2nd try next month. Like the other poster said...I really, really want to like this place. I finally went earlier this week -- got what I call a "Holy Trinity Sampler" - two pork ribs, 1/4 lb brisket, 1 sausage ring. I'd give the brisket and sausage 4 stars, but the ribs were disappointing and maybe 3 star. It was good, I was pleasantly surprised, but like I said a couple of weeks ago, the prices are a problem. 1 sausage ring, two pork ribs (1/3 pound), 1/4 pound brisket should not cost $17.50. I'm not sure what their goal is, but if it is to be a routine lunchtime destination, these prices will severely inhibit that. On a positive note, the guys behind the counter were very nice. And I noticed that they were being very, very careful to a) make sure that you got the weight you asked for and b) trim excess fat off the brisket. Cooper's Fort Worth, please take note! No Sauce really, I judge a BBQ joint by the sauce just like a tex-mex restaurant by their salsa. I thought the meat was good but not good enough to not have a sauce. Good luck Lockhart, you will never see me there again. It seems like no one has realized that the beef market has taken about a 40% increase over the last 3 months. Brisket prices are at an all time high. On a product that gets only a 50% yield, you must double the price to figure out its real cost ex: $2.50/lb= $5 cost. These guys' pricing is a reflection of the market they entered. They may just be a little bit ahead of their competition in pricing the brisket appropriately. "...a little bit ahead of their competition in pricing the brisket appropriately"? It's over-priced. Plain and simple. How else do you explain the prices being removed from their website after only one day? awful. an embarrassment to Kruez. Only decent item is sausage which they ship in. Bad and it takes them 5 minutes to cut one order. I'm beginning to think that some of the bad reviews have some sort of grudge. I've been three times now, each time was pretty great and it's gotten better each time. I find it hard to believe that readers of this blog in particular are complaining about the lack of sauce. More than I'd like to pay for BBQ? Sure. Overpriced based on the quality of food and the prices at most surrounding restaurants? No way. Ok...Just got back from Lockhart Smokehouse. I bought 1 pound each of ribs, briskit and clod. Two of us ate every bit of it, and could have gone for more. DAMN! That's good BBQ! They earned their four stars. Can't wait to go back for more. Had my best meal of 2011 so far a couple weeks back at Lockhart Smokehouse. The brisket and sausages were perfection. The clod was deeply smoky and flavorful, but surrendered a bit on succulence. I can't wait to get back. Very frustrated with this place. Keep hearing good things, but I tried the clod for the third time yesterday and there was absolutely no smoke in the meat. This lack of smoke has been evident each of the three times I've gone. I'm pullin for them to succeed, but I've seen no evidence personally! I finally made it down there this weekend. I gotta say, the brisket lived up to the hype. Great flavor and great texture. I requested fatty cuts and they carved it up just right. I wouldnt mind them slicing a little off the price, though. I did not like the sausage at all. I tried the regular and the jalapeno. Honestly, the texture and the flavor reminded me of doggie snacks. I guess I need to stick with pork sausage that explodes when you bite into it. Not that dry, pasty beef stuff. ¡Gracias y'all! I'd begun to wonder if I would ever taste Dallas barbecue after the Aggies closed their place on Hillcrest. For those of you who don't know/understand barbecue (and there's a bunch of you in Dallas), you don't have an excuse anymore. Get down to Oak Cliff and take a lesson in Brisket 101. These folks aren't five star ... yet. But then four stars is four more than Dallas spends it money on for anything beyond cosmetics. I wanted this to be a great experience. With the expectation set by BBQ Snob's review and some of the positive reviews above, I went with a friend to try out what I thought would be the ultimate Dallas BBQ mecca. First, just let me say that the guys at the counter were very kind. They gave us samples of sausage and when they weighed the brisket, they gave us half again as much as they charged us for. But everything was downhill after that. My friend was an older person and did not relish the idea of eating the meat with his fingers, sorry, no plates, no forks, no sauce, no kiddin'. I tried to minimize the issue by insisting that this would be some of the best brisket and sausage ever. Well, not quite. The brisket was laden with unrendered fat and the luke-warm sausage was oily on the outside and pasty on the inside. Hopefully the side dishes, potato salad and beans would offer some redeeming quality. Nope, pretty unremarkable. And how bout those smoked brisket deviled eggs? Dry and tasteless. In the end I had no defense for a high priced disaster that couldn't even be remedied by slathering on some BBQ sauce. Mr. Bergus, quality control is not the job of the customer, and unrendered fat need not ever be served to anyone, it is wholly visible to those doing the carving. As to the other issues, someone should be checking product regularly to be certain that it lives up to the standard that you wish to establish. At these prices, your demographic is almost entirely the small group of BBQ aficionados that frequent this blog and they will only tolerate so much mediocrity. You best get a handle on it in a hurry. Fatty brisket today could have been a bit more tender but the fat ring was evident and it melted in your mouth. The rib however was righteous. Perfect. They really will make it right if you just have the balls to ask if there is something you don't like. Getting better and better, amen. Smokin' Ronnie - I didn't order it that way, the cutter just recognized me. I'm more interested in your opinions of the place. Tried the burnt ends yesterday 5/5/2011 good smokiness and the crust was tasty. Not bad. Downside - expensive and burnt ends a little too fatty. Visited today for lunch (June 24, 2011) and ordered clod, brisket, ribs and original sausage. The clod was tender but needed more smoke flavor and moisture and it was definitely leaning toward the "roast beef" problem. The brisket had more smoke but was drier than the clod - they cut it off the flat as I did not specify. Ribs had a good smoke flavor and the tips were especially enjoyable, if chewy. I agree with others that the ribs are, overall, slightly too tough right now. The sausage was excellent and comparable to Kreuz and Smitty's I had about a week ago in Lockhart. Super nice guys at the counter who want to get this right and I plan to keep going back. Tried this place on the recommendation of a co-worker the other day. It was good, but I have to disagree that it quite measures up to the Kreuz Market. I only had the brisket, and while the flavor was good, it was a tad on the tough side. And the BBQ beans were not good at all; they looked amazing with a healthy helping of brisket, but all you could really taste was the salt. I'm keeping it on my list of lunch options, but it won't be my first. I tried Smokehouse because they are affiliated with Kreuz in Lockhart. The sausage was good but the prices were out ragious! I could have gotten double for what I paid for in Lockhart. I won't go back again. I will just order online from Lockhart. When I found out about this place I was so excited until they rung up my bill. I really follow this FCGB sites authors suggestions, but just went to the Lockhart Smokehouse in Dallas, and can't really see why any 4 stars would be granted. Don't know if too much preferential treatment exists when Daniel is visiting, but my brisket, rib and sausage experience did not seem to meet any of the criteria I constantly read from Daniel. My brisket had no smoke ring, and mostly tasted like roast beef, and since I had asked for the moist cuts, had large chunks of white fat, instead of well rendered strings of fat between juicy, smoky lean. The ribs also were mostly tasteless, again with much fat. Then, my expected pleasing jalapeno/cheese sausage was served very dry and tough, like it was just some leftover they were trying to unload. I wanted to have a place I would happily return to, but can't see making trips to something this disappointing. I hate to say it, but CLBIRV is correct - a re-review of Lockhart Smokehouse is probably warranted. My late lunch visit on November 4 netted brisket that was completely devoid of smoke, nothing at all like the Lockhart Smokehouse of last year. They're out of my rotation until things improve. Tis' sad, but undeniable, the end is nigh. Sounds as though things have gotten worse instead of better since my April 2011 visit. In the restaurant business, once things are tanking, unless you get an infusion of capital, experience and energy, you are probably sunk. It really is a shame and as a former restauranteur of 22 yrs, it pains me to see "the signs", but hopefully a lesson will be learned here for proprietors of this operation and others that have such lofty dreams. Each joint is judged on the essence of Texas 'cue...sliced brisket and pork ribs. Sausage is only considered if house made. Sauce is good, but good meat needs no adornment to satisfy. Each review can only be based on specific cuts of meat on that particular day. Finally, if the place fries up catfish or serves a caesar salad, then chances are they aren't paying enough attention to the pits, so we mostly steered clear. If you know of a joint we need to add to the Texas BBQ Map, or if you just have some good, honest feedback about our reviews, please email the Prophets of Smoked Meat to let us know. Crust - Layer of black goodness around the edges of brisket or ribs that holds excellent flavor. Meat Caramel - After gratuitous amounts of smoke are applied, and liquid rendered fat has come to the surface of the meat to mix with the applied rub, a chemical rendering takes place that creates a sweet sticky layer on the surface of the meat that clings to the tip of your finger when pulled away from the meat. This is affectionately known as meat snot. Parboiled - A process in which ribs are boiled before being grilled or smoked. This is what makes meat fall off the bone, and it also leaves good, flavorful fat in the water. It's cheating. Rendered - The process of cooking fat until it literally melts into the meat. Cook it too fast and the fat is absent from the meat creating dryness. If it's not cooked long enough, the fat remains gelatinous and unsavory. There's no need to put well rendered fat aside. Roast-Beefy - Brisket that hasn't been bathed in smoke, but rather tastes as if it was thrown in an oven like any hunk of roast beef. It might be good food, but it's not BBQ. Sauced - Unsolicited BBQ sauce slathered over top of your meat, usually to add what was non-existent flavor in the meat. Smoke Line - Red line around the outside edge of sliced brisket just below the crust that signifies an adequate amount of time in the smoker. Sugar Cookie - Fat that turns to a slightly sweet and crispy flavorful nugget after copius amounts of smoke are applied. texasbbqblog texasbbq texasbbqreview "dallas ribs" "dfw bbq" lockhart bbq barbecue barbeque texas brisket "best brisket" texasbbqjoints "dallas bbq" texas bbq reviews "best bbq" "texas best bbq" "dfw brisket" "metroplex bbq" "best smoked meat" "smoked brisket" "prophets of smoked meat" "fort worth bbq" "texas bbq"